With a nationwide fleet of over 5,000 breakdown trucks and more than 28 years’ experience under our belt, you can trust our 24-hour service to keep your van moving. 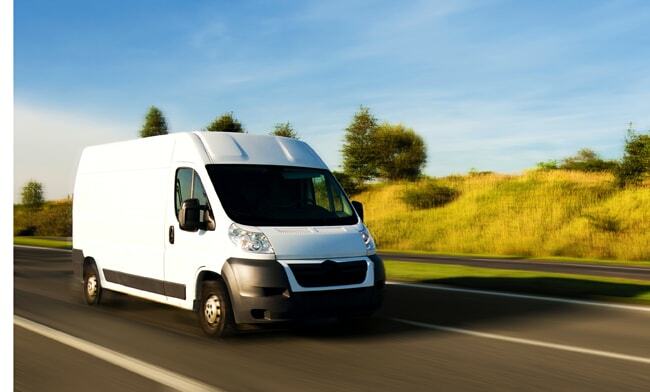 Do you need van breakdown cover for business use? Our fleet breakdown cover provides the best value for businesses owning multiple vans. We offer one fully comprehensive package at a great rate, so you’ll never have to think twice about what’s covered. We know how company vans come and go, so we make it easy for you to add and remove vehicles with no more than a quick call or email. What size vans do we cover? For reference, the Ford Transit MWB medium roof, and equivalent-sized Mercedes Sprinter, Renault Trafic or Master, or Vauxhall Vivaro and Movano vans fall within these limits. If your van breaks down or is involved in a collision, we’ll send a qualified mechanic to give up to one hour of free labour at the roadside. If we cannot get you moving, we’ll take your vehicle and all its occupants up to 15 miles to the nearest suitable garage. This core service is available from less than £40 per van per year. If we cannot get you moving the same day, we’ll transport you and your passengers to one destination in Britain or provide onward travel to complete your journey and a return journey for the driver to collect the van once it’s repaired. Home cover includes all the benefits offered by our breakdown cover (see above) if you break down at the address you have registered with us. If we cannot get your van moving the same day, we’ll provide you and your passengers with one night’s accommodation (up to £60 per person). Alternatively, van hire for up to five days (up to £40 per day) while your own vehicle is being repaired. Our Europe option extends any features and benefits chosen from the list above to all states of the European Union for up to 90 days. We cover Austria, Belgium, Britain, Bulgaria, Czech Republic, Cyprus, Denmark, Estonia, Finland, France, Germany, Greece, Hungary, Italy, Ireland, Latvia, Lithuania, Luxemburg, Malta, Netherlands, Poland, Portugal, Romania, Slovenia, Slovakia, Spain, Sweden as well as Norway, Switzerland, Andorra, Liechtenstein, Monaco, San Marino and the Vatican City. If your van cannot be repaired within 72 hours, we will arrange for it to be repatriated. Alternatively, we’ll reimburse reasonable transportation costs for you and your passengers to return home separately and also for one person to return for the van once it has been repaired. We also offer European breakdown cover for vans on a pay-as-you-go basis. This type of policy allows you to buy a comprehensive level of cover for a single trip lasting from between one and 31 days. Van or car hire for up to 5 days to a maximum of £40 per day whilst your van is being repaired. We will cover transportation costs for you and your passengers to return home separately from your van and also for one person to return to collect your vehicle once it has been repaired.